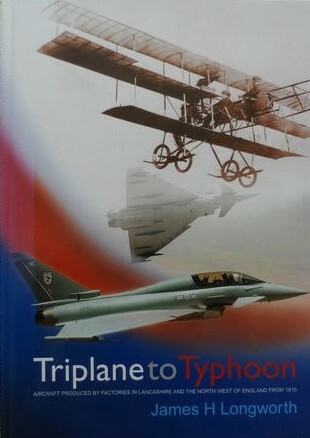 Extensively illustrated with photographs in both colour and black and white, Triplane to Typhoon gives a detailed account of aircraft production in the area. Appendices to the rear list aircraft types, producers, locations, production dates and production numbers; includes a map wih line lines; include a what became of-brief histories of British airframe and aero-engine companies from 1945; also features an overview of the restructuring of the British Aircraft industry. Inside,the interio is unmarked and in fine condition.